In recent times, artificial lighting has taken a massive leap thanks to adoption of LED lights as they offer greater brightness and low power consumption.While this turn of events might seem to be positive, it is actually proving to be catastrophic for all living entities under the sun. A research paper submitted by Christopher Kyba of German research center for geosciences highlights the observations about the rebound effect of excessive lighting which causes light pollution, by analyzing the data from a U.S weather satellite Soumi NPP. 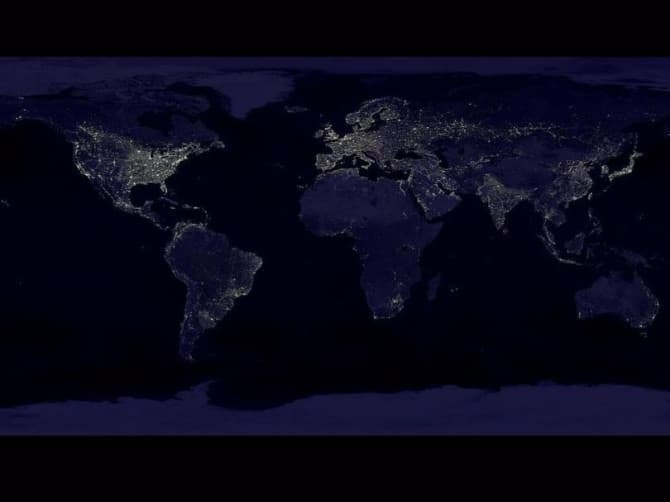 High-resolution satellite images show that some regions have significantly increased their outdoor lighting at a rate of 2.2 % per year and much of this rapid change is seen in Middle East and Asia and a rapid decrease can be seen in Syria and other war-torn countries. Developed countries massively started erecting glaring lamps, which resulted in loss of natural day-night cycles for nocturnal life and other living organisms disturbing their life cycle. Christopher emphasized the same with an example on how trees are garnished in concrete jungles with floodlights focussed at them causes great stress causing their photosynthesis activity to cease.Artificial light which was once a boon for plants which did not get enough sunlight is proving to be a bane as lighting cannot adopt itself to living beings as the normal day night cycle. Most of the LEDs emit short wavelength blue light whose toxic nature is proved to inhibit mutations and allergic reactions are caused by different colored light sources such as arsenic and lead used in LEDs. Many research papers have previously highlighted the sleep disorders which arise from the exposure to such light emissions. As researchers put more mettle to their research in finding better sources for green lighting, awareness on light pollution seems to be inevitable for the present.